Excerpt: “If you knew that a certain type of exercise could benefit your heart, improve your balance, strengthen your bones, and help you lose weight as it made you look and feel better, wouldn’t you want to get started? Well, studies show that strength training can do all of that and more. Strength training is not just about bodybuilders lifting weights in a gym. It can benefit people of all ages and may be particularly important for people with health issues such as arthritis or a heart condition. 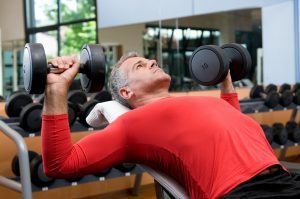 For more detail on the many benefits of strength training and how to get going with it, click here for the complete article.